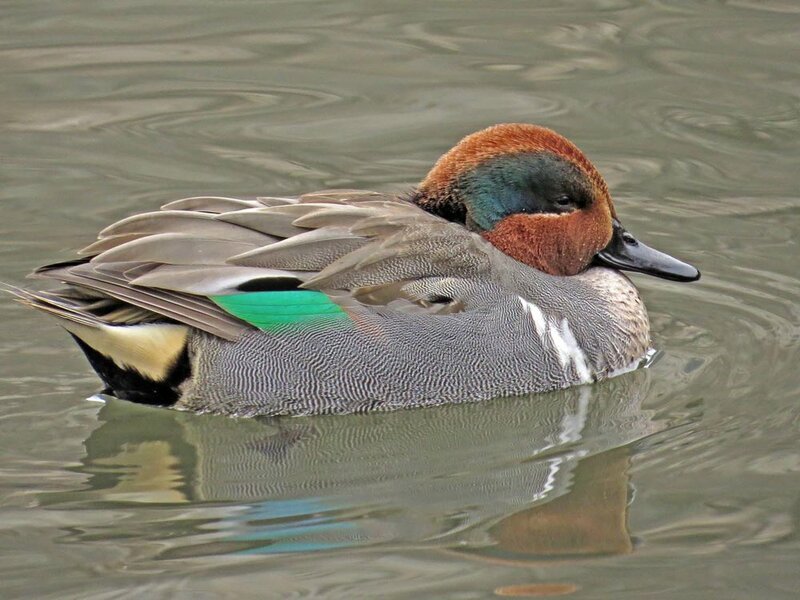 Every time I'd read a posting or get a message that there was a green-winged teal at the Reservoir or elsewhere, I'd go to look for the duck and just miss it. 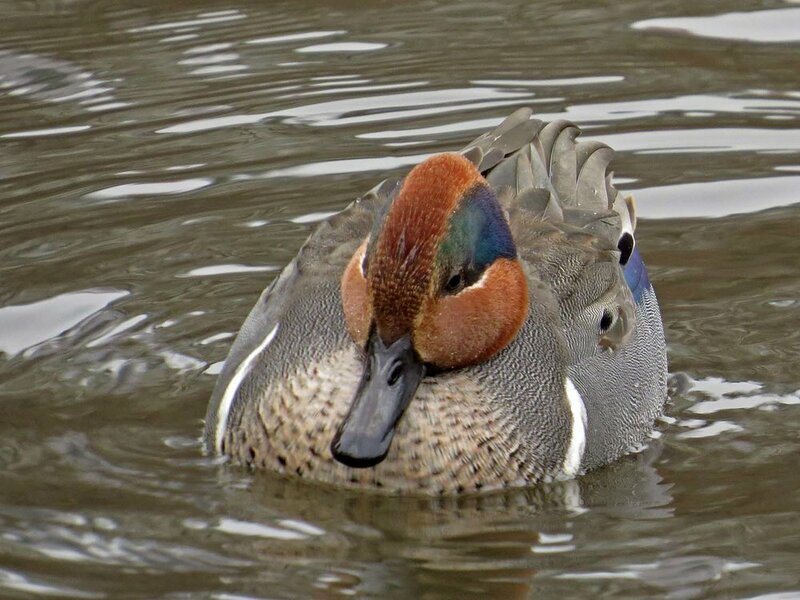 I was firmly convinced I'd never see this duck, that my hopes and dreamed would be dashed again. 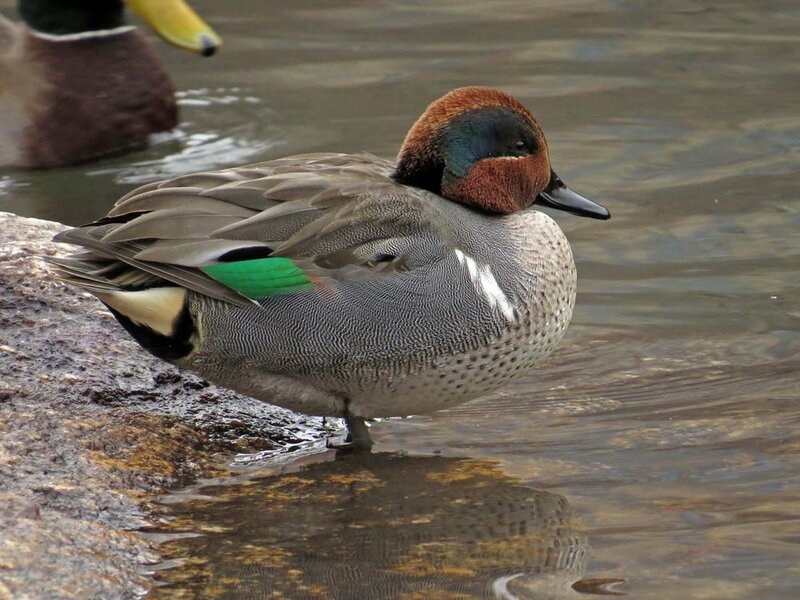 But finally, after a couple of visits to the Meer in Central Park, I spotted the female green-winged teal I'd been told was there. 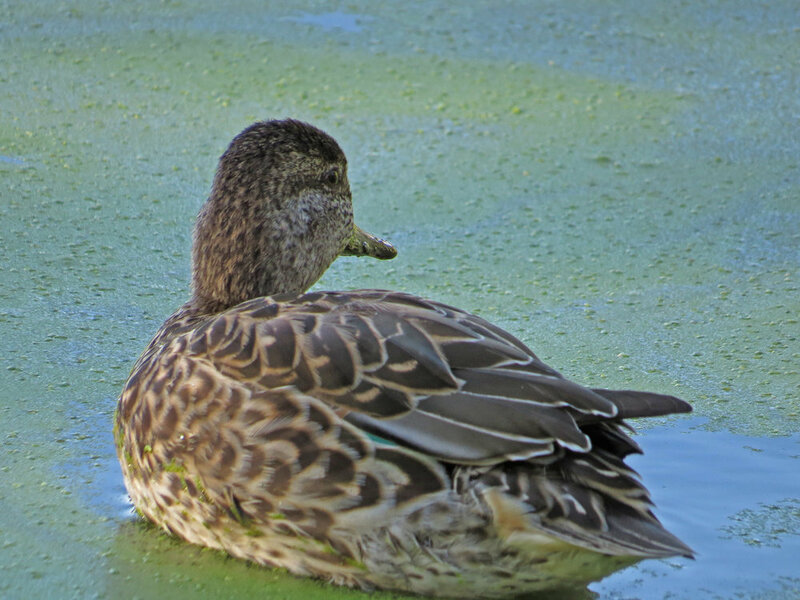 It was a delight to see the little duck, and to get some photos and video. 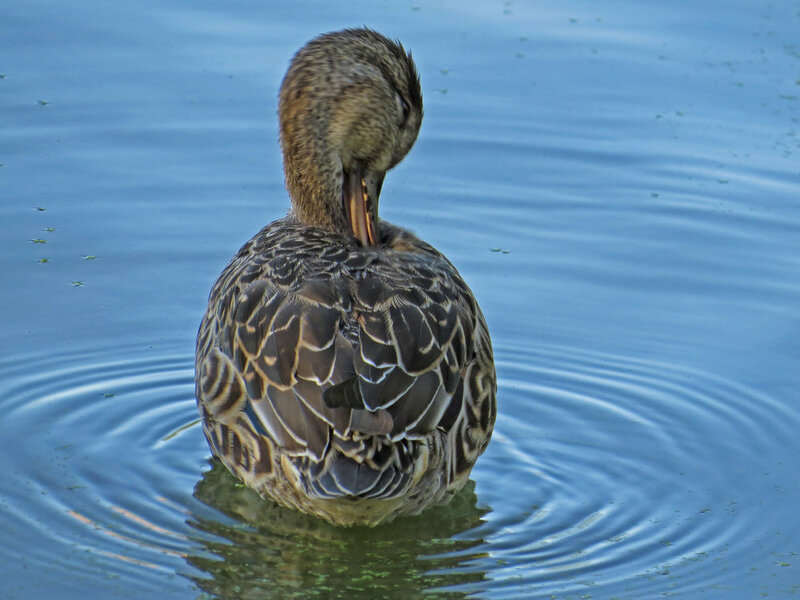 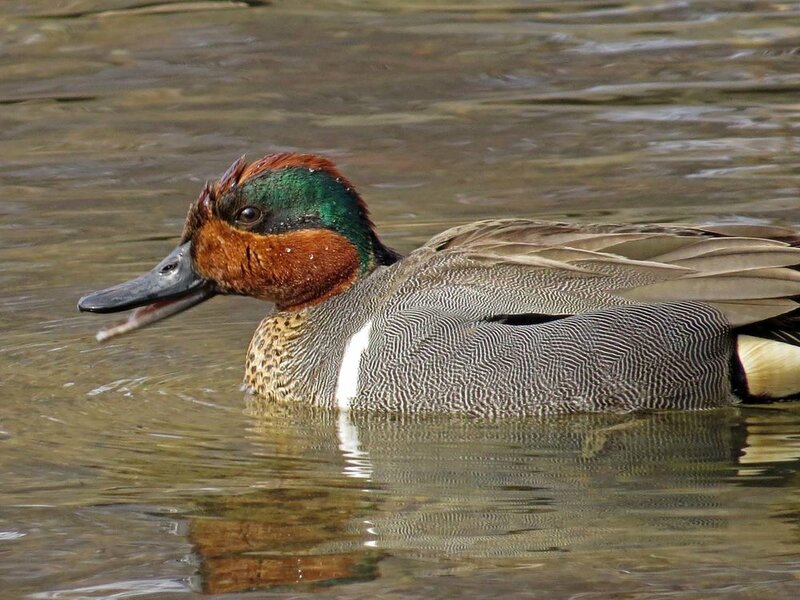 As you can see from the Cornell Web site, this is a very handsome duck and worth looking for. 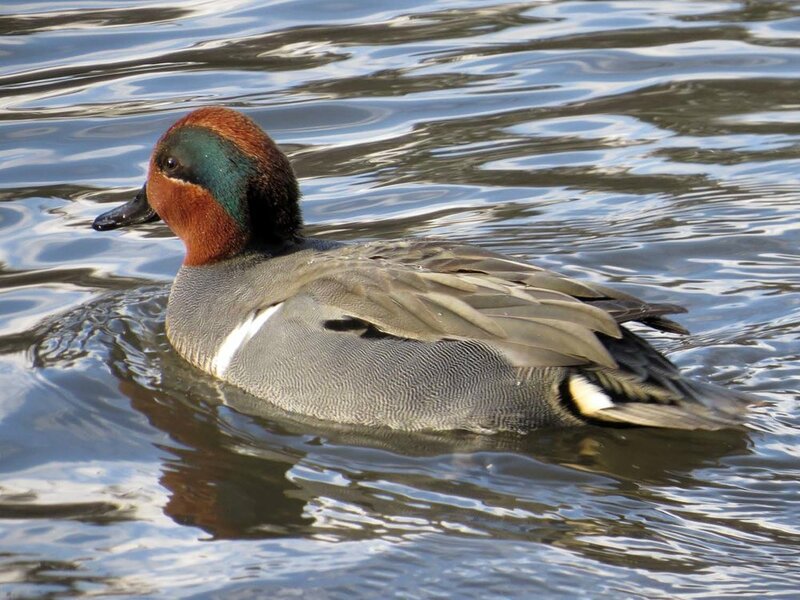 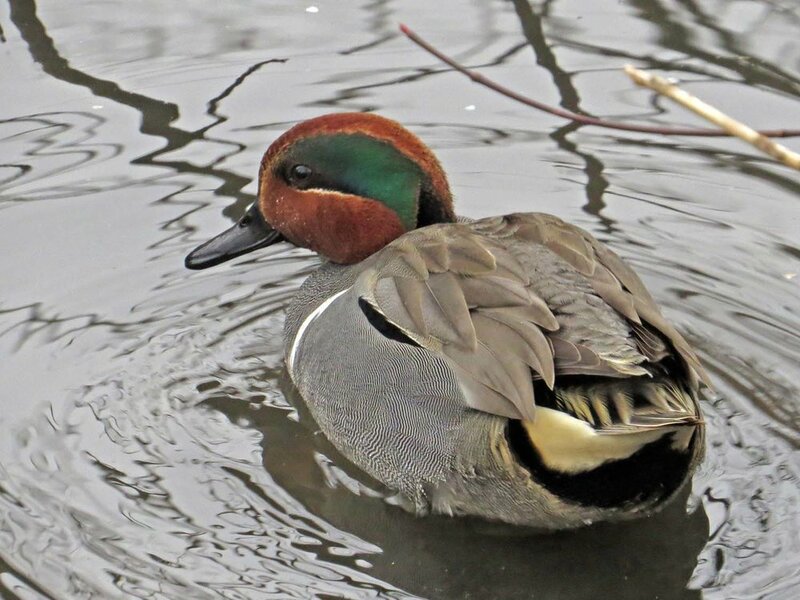 In late fall/early winter 2016, a male green-winged teal made an appearance at the Pond, where our Woody showed him the ropes. 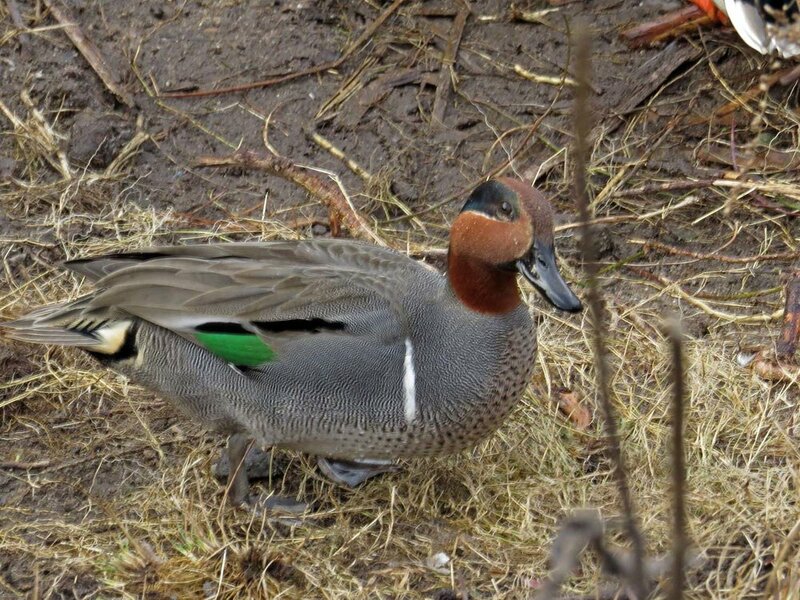 He was a delight, and I was finally able to film the male teal. 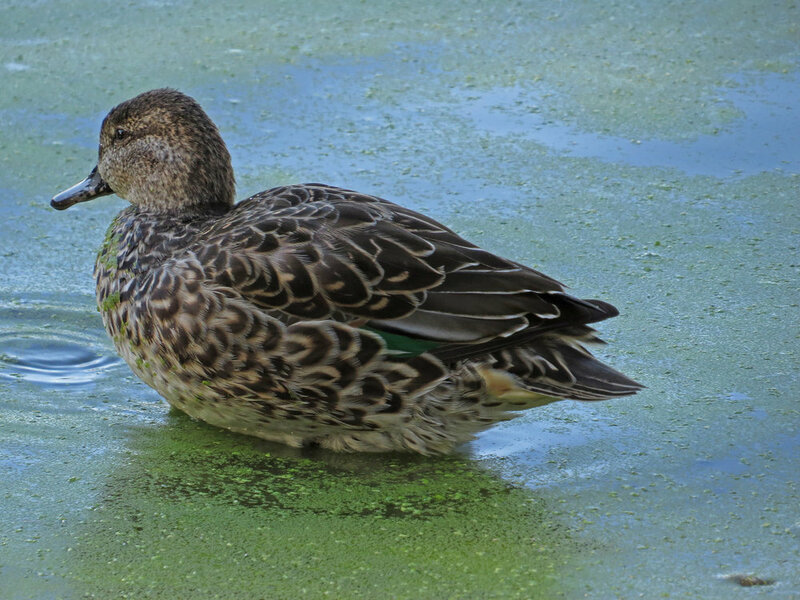 These photos of Greenie were shot on December 21, 2016. 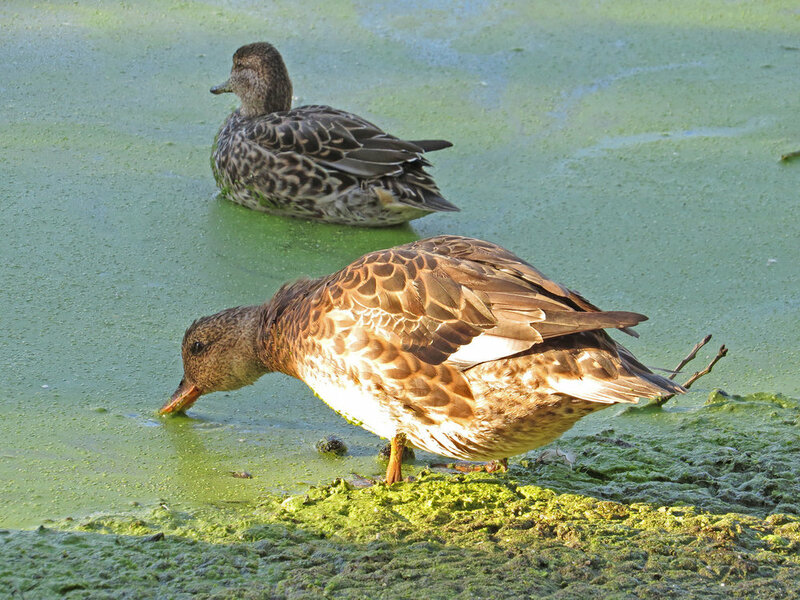 The Filming the Feathers video featuring Greenie is set to music by Scarlatti, too. 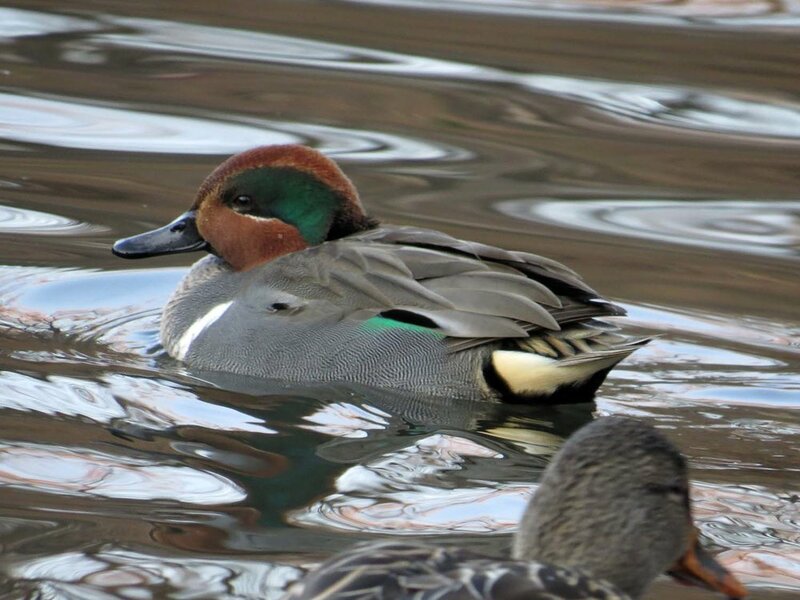 These photos were taken in December 2016 and January 2017, in Central Park. 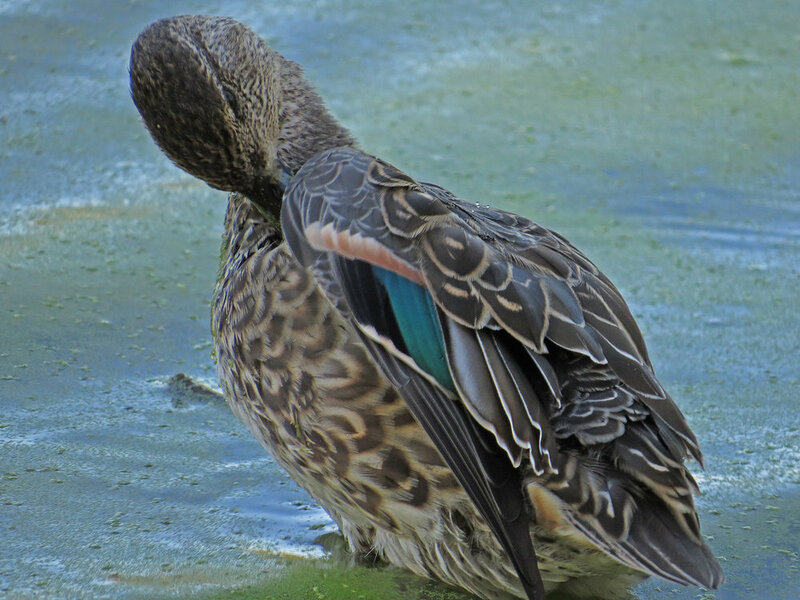 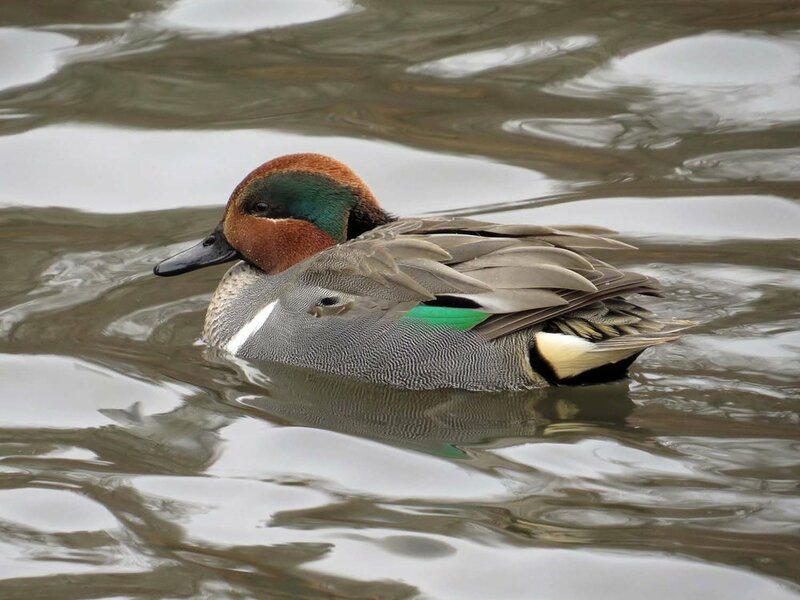 In April 2017, a pair of green-winged teals visited Turtle Pond in Central Park. 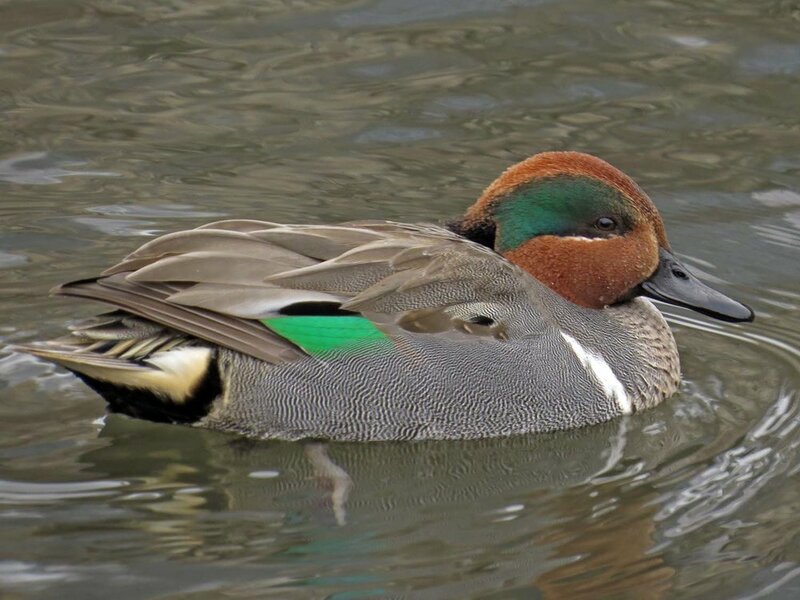 I got video of both, but was only able to photograph the male. 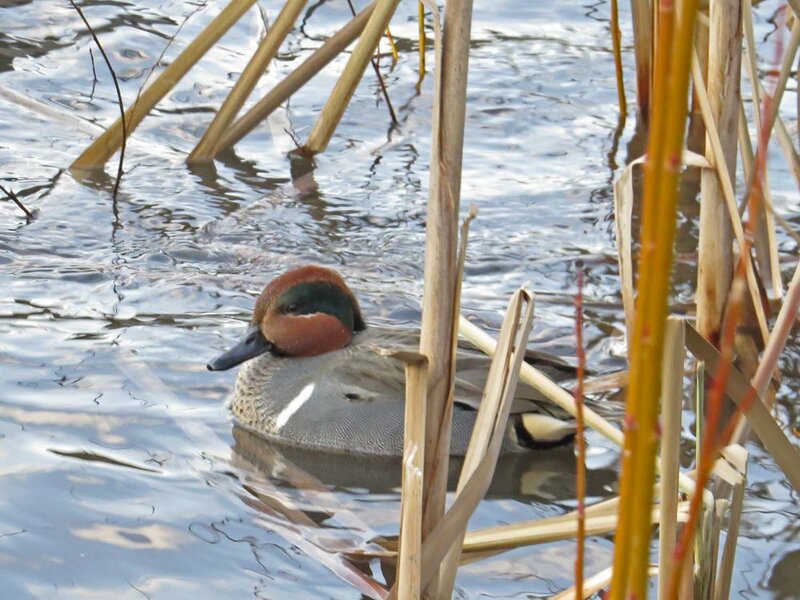 I was able to see this female green-winged teal, plus another lady, at Jamaica Bay Wildlife Refuge on October 18, 2017. 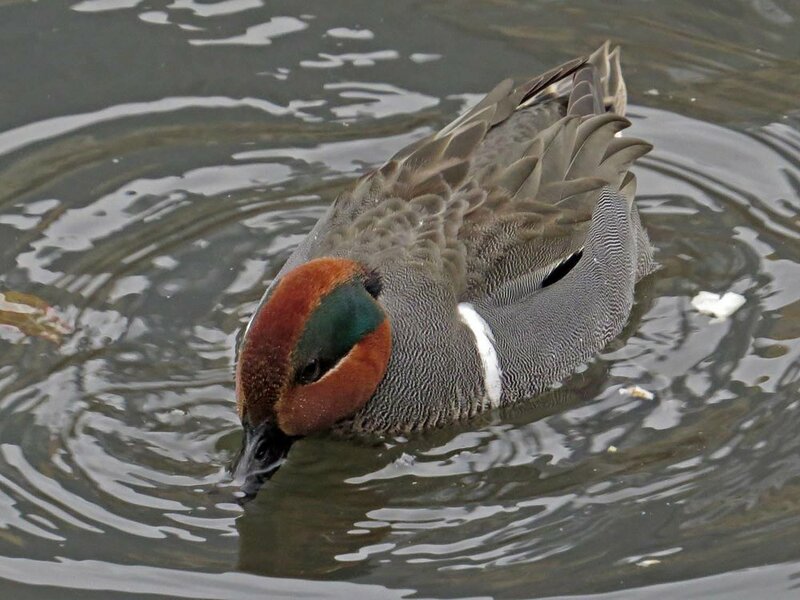 These photos of the female green-winged teal were taken Oct. 5, 2016.